Some people are just born with a connection to animals. Allen is one of them. He grew up in an environment where pets were loved and nurtured, and understood at an early age that he was linked to animals in a way that most others weren’t. With this passion for animals, it was no accident that in 1992 he became a professional dolphin trainer, working under the industry’s leading marine mammal experts, with unlimited access to innovative training techniques. In 1999, Allen founded Paws University as a business offering dog-training services only. It has since grown into an innovative dog and cat boarding and dog daycare and training facility. In a span of twenty years, using the same methods he learned training dolphins, Allen has trained hundreds of dogs. He feels a great sense of satisfaction when he observes his past students successfully applying what they have learned from the training he provided. The smiles on their owners’ faces speak volumes. Allen continues to develop new and innovative methods and classes that can be enjoyed at Paws University. 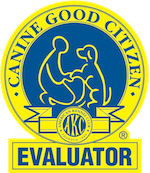 Allen is a AKC Canine Good Citizen Evaluator and a member of APDT. Paws employs a training method known as Operant Conditioning. It allows trainers and owners to create a trust-based bond with their pet. That bond results in the pet’s willingness to performing desired behaviors. Effective training with rewards encourages pets to repeat desired behavior and attitude. With repetition and a favorable environment, pets can develop skills even beyond their owner’s expectations. Paws vision is to provide a training environment that enables a variety of activities to build lasting relationships between owners and their pets. These activities include Puppy Kindergarten, Paws-Abilities (Life Skills for Dogs), Yappy Hour and Agility Training. In addition to training, the methods utilized for boarding and daycare allow carefully screened pets to play and socialize with one another while at Paws for the day, overnight, or during extended visits. Paws has built its entire campus around the needs of the animals. The Administration building houses the reception area, store, pet grooming and kitty boarding areas and caretaker’s apartment. The doggy daycare and dog-boarding facility constitute the main focus of the campus, and the dorms are situated around the play yard. The lower part of the campus contains an expansive enclosed field for a variety of events events including Yappy Hour, Agility Training and Agility Matches.